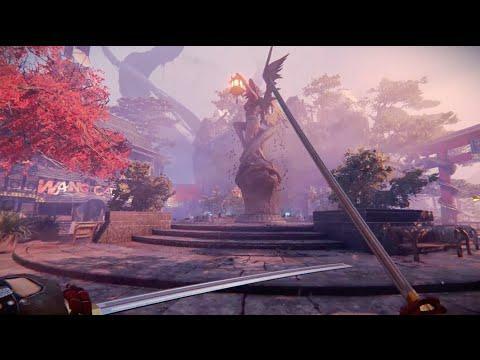 Shadow Warrior 2 looks incredible and it's releasing a lot sooner than I expected. The developers tweeted out that it's due in less than two months! Exciting, but I need to finish the first one! the hype! 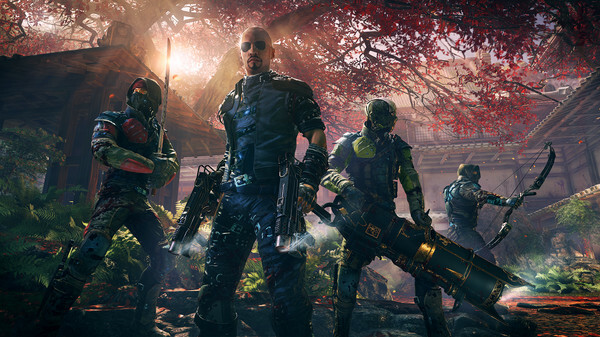 I still havent completed shadow warrior 2013. Being a game junky is stressful. So meny games, so little time. Sadly I wont pre-order this one, I want the gog version, and as you said in the article, there is no linux listed for gog version. You still didn't finish the first one? It's pitty that I have weak HW now. I just got the first one a week ago. This looks really nice and I'll certainly be picking it up at some point. RTheren You still didn't finish the first one? The game has sadly been a project to complete. Iv got the gog version, and there is no cloud save. During my Dual boot time, I hade a lot of loss in data. And that lead to me reinstalling the game I think its 4 times now. Anyways, Iv havent manage to be able to replay the game, and I recalled I was a few hours in to the game. I will complete it, I just dont want to force myself to complete it. They should be questioned as to whether Linux will be day 1, or at a later date. I'm hopeful for day one as I think they planned Linux support from the beginning and I believe Godlewski works for Flying Wild Hog now. Where did the idea that PC means Windows? Being an ex Mac fan-boy (since Mac OS 7) I think this actually came from the Apple camp because they would always say in their marketing material "Mac vs PC". I think this then bled into the Windows camp that they'd refer to themselves as PC. So, I could be wrong, but I think the blame for PC meaning Windows actually stems from the late 90's Mac/Apple marketing and users. Finally, I think this was solidified with the catchy Mac vs PC ads that Apple did in the 2000's. Pretty sure Aaron from Knockout Games is doing the port again, could be wrong there though. i know its online co-op but multiplayer death match would of been epic. closest thing to overwatch with gore we could of had.